Abstract: Creativity and high efficiency are still the essential requirements for product design with wide impact on current design research and engineering practice. Design automation aims to increase the efficiency and quality of design work. Creativity is receiving more attention but with essentially little progress so far, especially in automatic design. The rapid and automatic growth of organisms and the great potential for production of new species that Genetic Engineering shows are the two main reasons that lead to our work. A new design environment – Product Growth Design platform (DARFAD) – has been developed, new concepts such as Product Genetic Engineering (PGE) are proposed, a theoretical PGA framework is discussed, and an example of product design is introduced. In current product design practice, it is useful to distinguish two basic types of design work. In creative design, new solutions or schemes have to be explored. In routine design, there is a relatively well-structured solution or top-level scheme for the product to be developed, and the design work can be divided into sub-tasks. In a broad sense, design is essentially creative and innovative work based on new requirements, knowledge and experience. 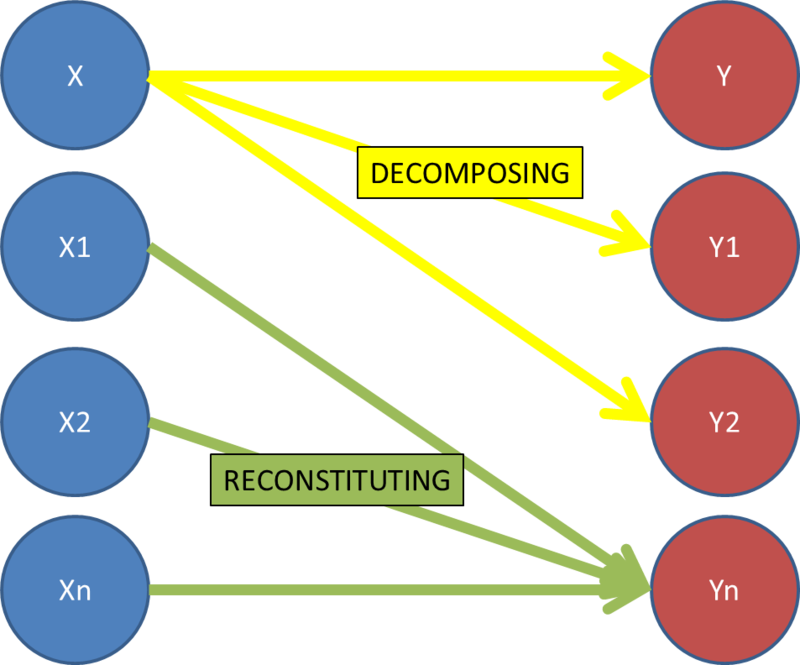 Decomposition and Reconstitution (D&R) is one of the most important principles for design automation, which is developed as an innovation principle for the introduction of creative potential into the design automation system. Based on this principle, the presented theoretical study has established some new design automation methods and principles, such as General Positioning Principle (GPP), ‘Cell Growth’ Design Principle (CGDP) and the D&R Based Design Process Model, in which the traditional design practice and process are decomposed into small steps and reconstituted in a different way. The essential difference between an organism and man-made artifact is that there is a growing mechanism for organism, but none exists for man-made artifacts design. In this work, genetic engineering knowledge is applied to design. Genetic Engineering is the process of insertion of one or more genes from one organism into the DNA of a different organism. It can be thought of as a cut-and-paste process in which specific gene is cut from a donor organism and pasted into the genetic material of another organism. It is the heritable, directed alteration of an organism. The mainstay of genetic manipulation is the ability to isolate a single DNA sequence from the genome. 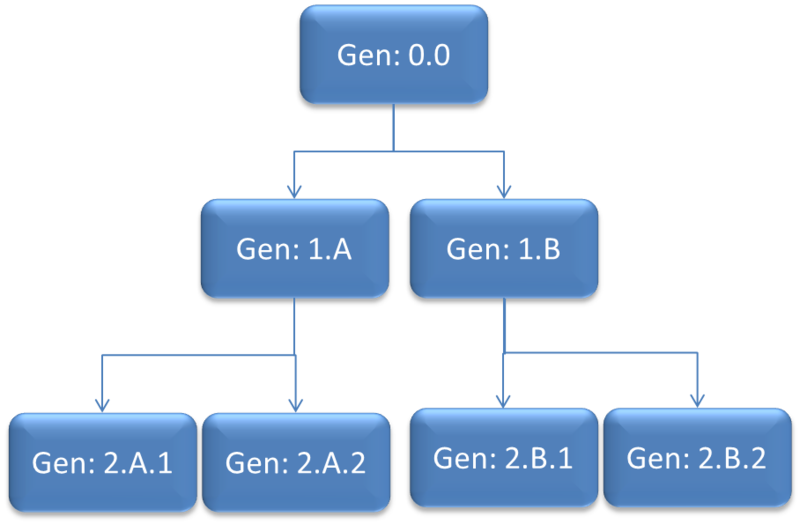 This can be considered as a series of 4 steps of gene cloning experiment: Generation of DNA fragments, joining to a vector or carrier molecule, introduction into a host cell for amplification , and selection of a required sequence. Comparing with organisms, we can consider a product as an organism and a part within a product as a cell. Biology shows that cell division is fundamental to the growing process by which a cell divides to form two daughter cells. Biologically, a gene is a segment of a cell’s DNA. DNA is the blueprint of life containing codes for the proteins that make up an organism’s specific characteristics including physical appearance, physiological functioning, etc. That is, the segment of DNA that have been associated with specific features or functions of an organism are called genes. A gene is a functional and structural unit of a DNA. Genes consist of structural genes, operational genes and regulator genes according to the functional actions in the process of transcription. The genome is the entire DNA “recipe” for an organism, which comprises a certain numbers of genes of the organism. According to the Central Dogma in molecular biology, two steps of gene expression are essentially the same in all organisms. The term gene is usually taken to represent the genetic information transcribed into a single RNA molecule, which is in turn translated into a single protein. Adaptability – allow different environmental constraints and user needs to be satisfied.